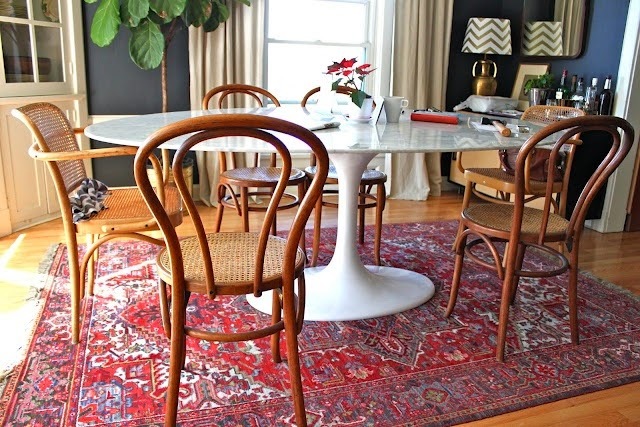 Like the Tulip Table, the Thonet chair is a timeless piece of furniture design history. 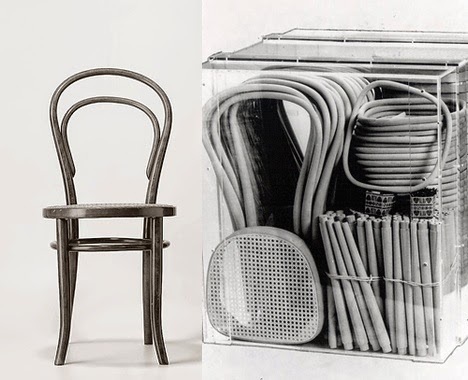 The Thonet is actually older than the Tulip Table by almost 100 years, introduced in 1859 by its creator, Michael Thonet (often mispronounced “tho-nay” like a French name; Thonet was German-Austrian, he pronounced his name “toe-net” with a hard T at the beginning and end). He invented and patented a revolutionary way to bend wood in a steambox, a process that hasn’t changed much since. The chair wasn’t just a renovation is design and woodworking: it could be taken apart (think IKEA) for easy distribution and transportation, making it easy to sell all over the Europe, and the world. 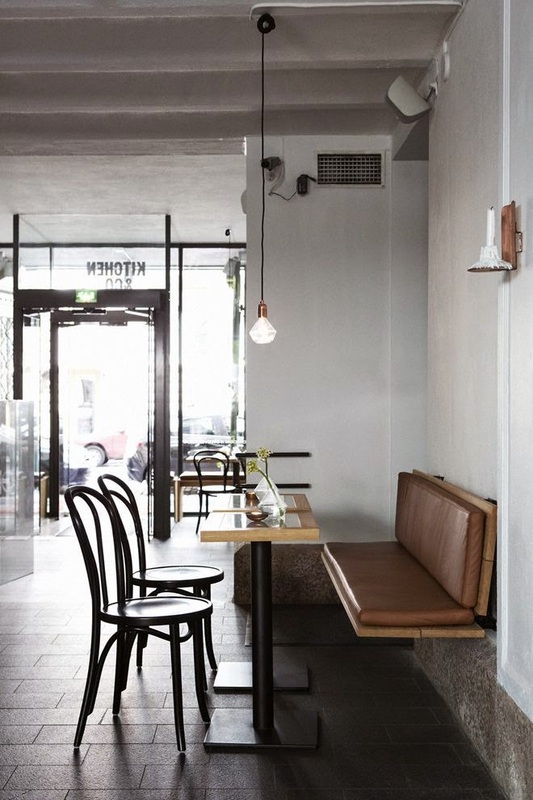 The Thonet chair became incredibly fashionable, appearing in chic restaurants, especially bistros and cafes, a trend that continues to this day. The #18 keeps the aesthetic, but is more comfortable, as it supports the back, but does not hit the spine. 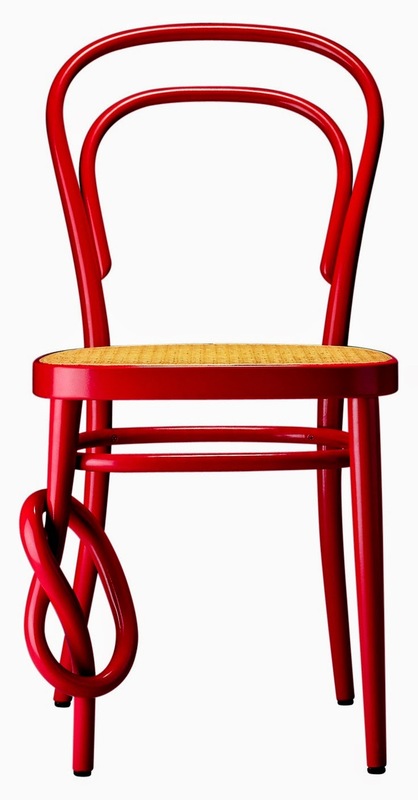 The Thonet Chair is a classic that continues to inspire furniture designers today; creative re-dos of the chair pop up all over the world like the one pictured above.